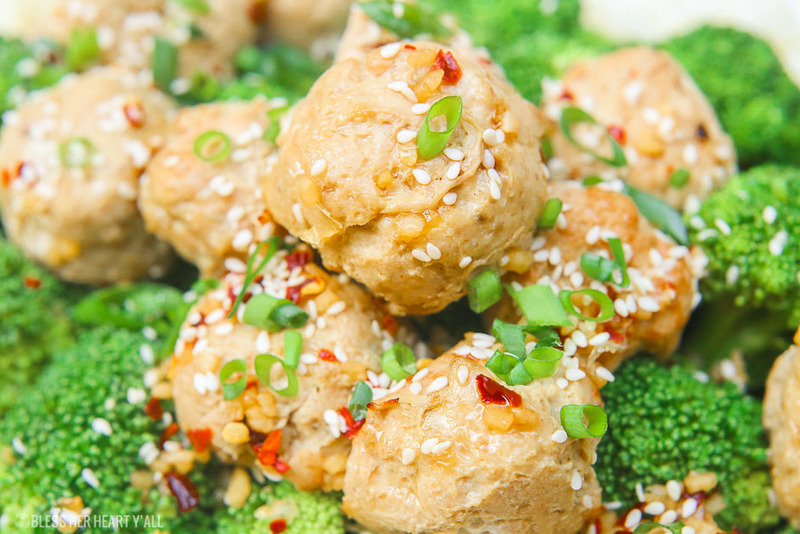 Sesame ginger paleo turkey meatballs bake soft paleo meatballs in a drizzle of homemade sweet and zesty sesame ginger sauce and topped with sesame seeds and green onion slivers. It’s the perfect gluten-free, grain-free, and dairy-free appetizer or meal over rice and steamed vegetables! 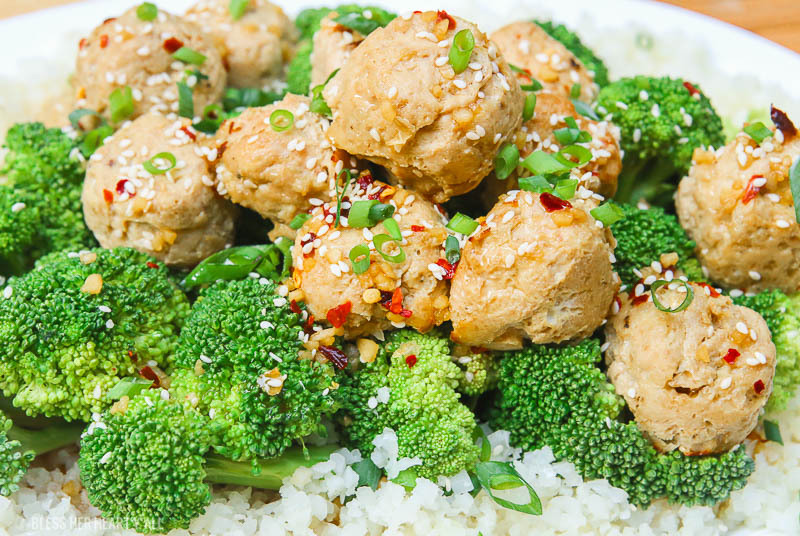 FACT: Paleo turkey meatballs need to be a regular in everyone’s home. When I make paleo turkey meatballs I take fresh ground turkey meat and combine it with a beaten egg, garlic, onion, coconut aminos, and a pinch of salt and pepper. It’s a lot like my Easy Oven Baked Paleo Meatball recipe that uses similar ingredients along with ground beef. I roll the turkey meatballs in my hands and put each one into the bottom of a greased mini muffin tin. You usually need to grease the muffin pan because turkey just doesn’t produce the amount of fatty grease that other meats do so you may have an issue with your turkey meatballs sticking to your pan if you don’t. Then you need to bake your paleo turkey meatballs for about 10 minutes, remove them from the oven, and flip them over to allow the underside to cook and brown. While the turkey meatballs are cooking they will be kind of delicate so be careful when flipping them. I like to use a curved pair of metal tongs that are shaped to the same shape as my meatballs, like this pair of tongs. Once they are fully cooked and cooled a bit they will be perfectly fine to toss into your mouth not-so-carefully. I like to place my hot paleo turkey meatballs on a paper towel-lined plate to soak up any extra grease or drippings coming off the meatballs from the baking process. 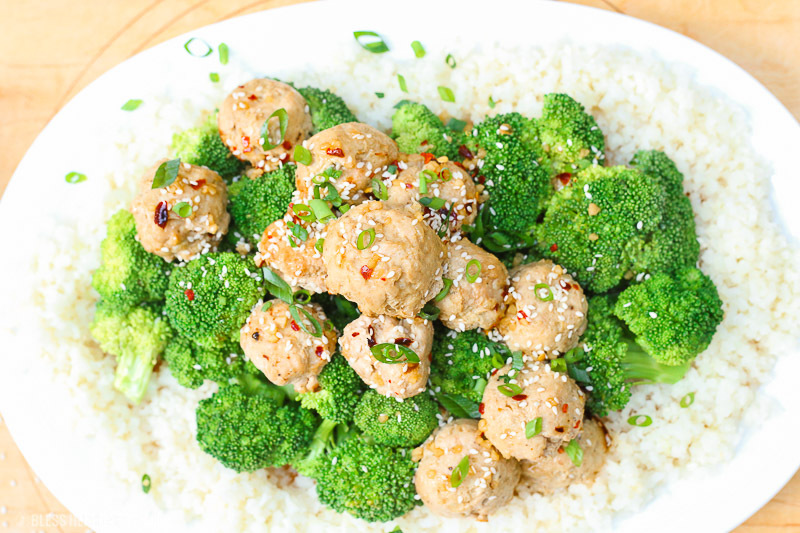 It’s a great time to make your sesame ginger sauce while the meatballs are cooling. 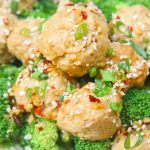 It just takes a quick stir of the saucy ingredients and then it’s drizzled all over the paleo turkey meatballs. 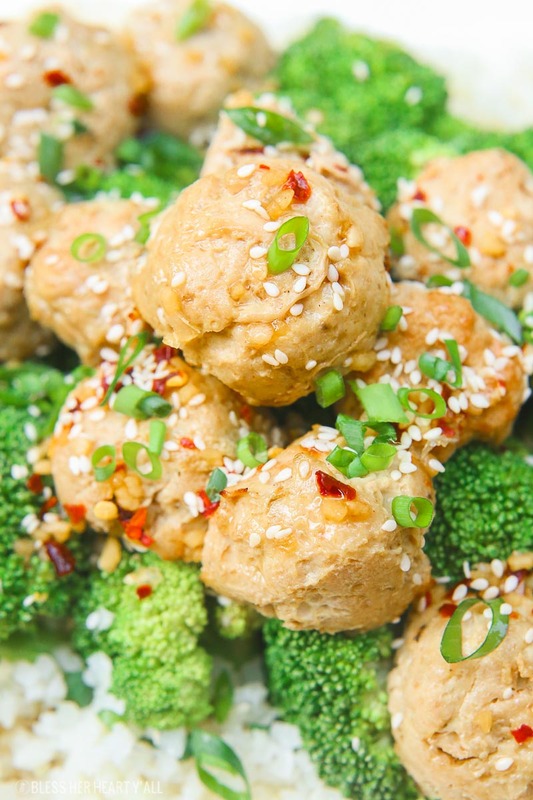 Sesame ginger paleo turkey meatballs bake soft paleo meatballs in a drizzle of homemade sweet and zesty sesame ginger sauce and topped with sesame seeds and green onion slivers. 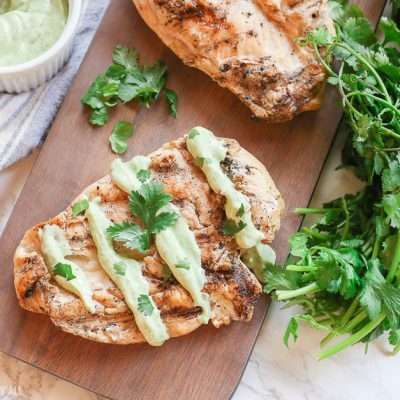 It's the perfect gluten-free, grain-free, and dairy-free appetizer or meal over rice and steamed vegetables! Preheat your oven to 400*F. Combine all ingredients in a medium mixing bowl and then thoroughly mix together with your hands. Roll into 1-1.5" inch balls (refer to video to see the exact size of the meatballs that I make) and place in a mini muffin tin. Bake for 10 minutes, take out of the oven, flip over, and bake in the oven for an additional 5 minutes of until thoroughly cooked and the outsides are nicely browned. Carefully remove the hot meatballs from the pan onto a paper towel-lined plate to help soak up any extra grease from baking. While the meatballs are cooling make your sesame ginger sauce by mixing all the sauce ingredients well in a small mixing bowl. Pour the sauce over the meatballs and enjoy! 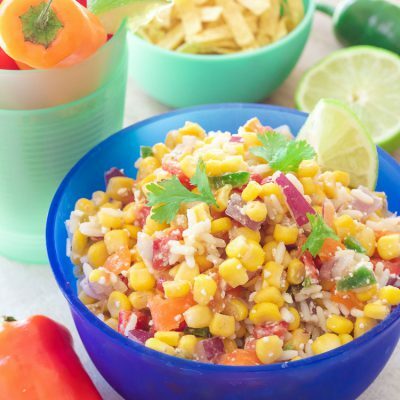 Use immediately or store in the refrigerator in an airtight container or even freezer for later! These easy healthy meatballs are an awesome appetizer idea if you need something to fill up a large party platter. BUT… they are also amazing as an entree paired on a bed of fluffy cauliflower rice and steamed broccoli florets. 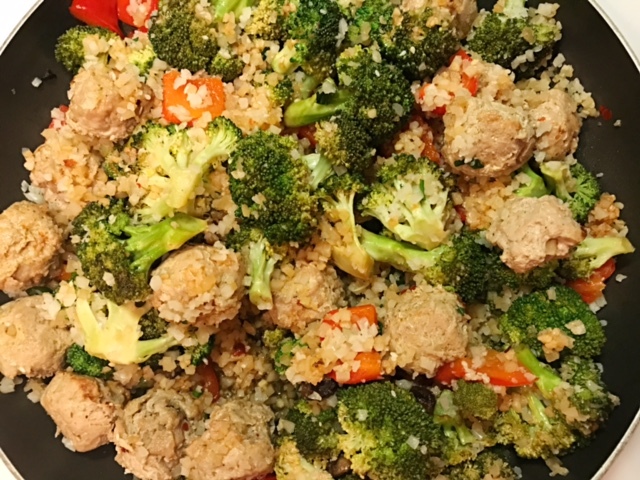 OR… as our latest family creation obsession: stir the paleo turkey meatballs, cauliflower rice, and broccoli together in a large skillet and add in red bell pepper pieces, diced mushrooms, and a doubled recipe of the sesame ginger sauce for one awesome sesame ginger paleo turkey meatball stir fry skillet. Thanks for stopping in friends! The links on this page may be affiliate links. 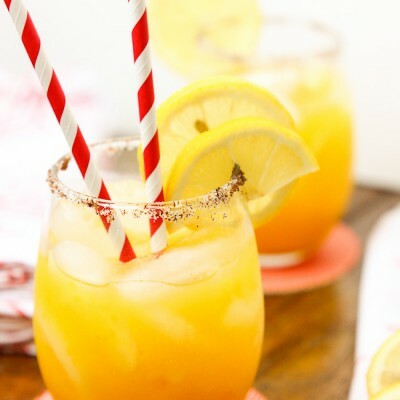 Any purchases made through these links helps support BlessHerHeartYall.com without any additional costs to you.